You will cook with elegance in a beautiful baking apron made in Provence in the finest Provencal prints. 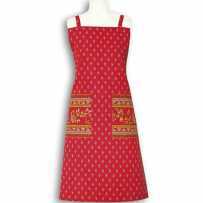 Women’s cooking aprons or aprons for men are available here below. They go with our table collections. You will also have the assurance of comfort because they are well cut with good dimensions. Choose yours among our beautiful chef aprons. The blue, red ou yellow aprons that are offered in this section are of superior quality, manufactured by Marat d'Avignon®. The provencal clothing know-how of this brand is present in the fabric as well as the cut and the finish. The cotton in which these aprons are made is beautiful and the colors are bright and resistant to washing. The motifs are more traditional among the old Provençal prints. The top of the apron covers a large part of the torso to protect your garment to the maximum. Similarly, the bottom is quite long compared to a standard product. The long straps also fit all waistlines, and the neckband is adjustable by a sliding system. These chef aprons will suit a majority of people regardless of their stature. In addition, they go with the co-ordinated collections of table linen declined with all the accessories. We invite you to look also at the tablecloths and placemats with their matching napkins. You will find a wide choice to compose a table cloth service. These towels sets are made of high quality terry cotton, very soft, with lovely embroidered patterns reminiscent of Provence. You can match them with honeycomb towels that have the same pattern. You can also mix the colors, or change completely according to the rooms where you want to use them. These are bathroom hand towels as well as kitchen towels. Sold in pairs, they will stay sweet at your hand for a long time because they are made to last. The made-in-Provence quality ensures a good resistance to repeated washing. You could also offer them as a housewarming gift, or to please a grandma who loves tradition. We offer two ranges of high quality 100% cotton kitchen linens. The first one is entirely made in Jacquard weave to bring you all the performance and beauty of this French know-how. The second uses the absorbent honeycomb woven for its efficiency, with embroidered patterns that give more in the fantasy : they are cute kitchen towels. Dish towels or hand towels, these kitchen textiles offer a wide range of possibilities. To serve your hot dishes beautifully and without burning, our kitchen gloves are made in very cheerful Provencal prints, full of different colors. They are sold in sets of two, in one size, and are usually matched with kitchen items from the same collection. So, choose your oven mitt set, and go back cooking! These heat resistant gloves are all matched with coordinated kitchen accessories and table linens. You will generally find the same colors as those proposed for gloves. In particular, there are very well cut kitchen aprons that are suitable for various sizes. 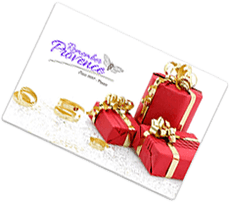 A choice of beautiful sets for the everyday life or to receive with elegance. These oven mitts are made of quilted cotton with layer of polyester as an interior trim. Depending on your needs, some are thicker, with specific isothermal treatment. Others are thinner for those who prefer to use gloves with potholders and gain in handling. Be it in the kitchen or near the barbecue, these double cooking gloves will be perfect to protect your hands. The kitchen is a favorite place for Provencal fabrics: they give color and warmth to a very important room of the house, where the whole family gathers for meals. In addition to the daily tablecloths (which you will find in the Table linen category), you need to equip yourself properly for cooking. Aprons, gloves and pot holders protect you and protect your clothes. Decorative kitchen towels are very useful for wiping hands, utensils and dishes. Our items are all made by a textile house specializing in Provencal linens. Its experience in the field for decades gives superior quality to these products made in our region. They have features that bring a plus to the user compared to standard products. For example, our kitchen aprons are designed to suit all profiles. French Jacquard tea towels show subjects where beautiful details make the difference. The terry cotton hand towels have a high density in order to provide a very enveloping softness. Everything is thought to satisfy you durably in the daily use and without forgetting the aesthetic aspect.